Nous vous présentons notre “Tropical”, chronographe certifié retour en vol. One of the most versatile time-keeper of the Prestige collection. 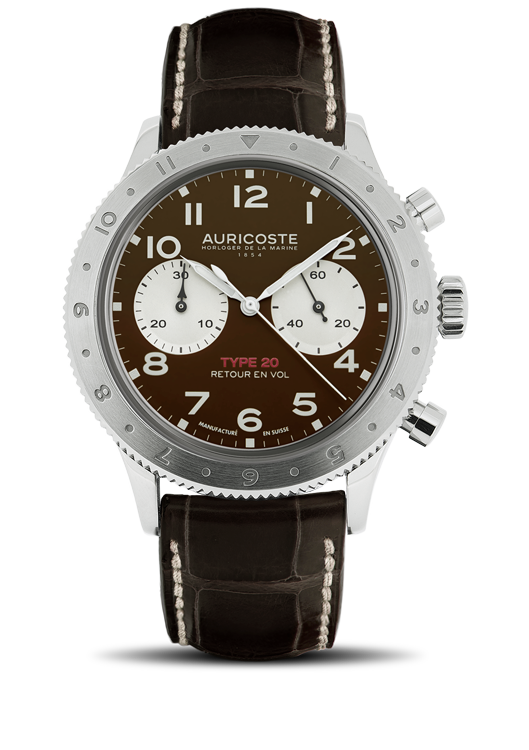 The Tropical Type 20 watch has not been designed by chance. This watch complies with the requirements of a public asking for a very personnal watch, full of character. This watch reminds the vintage “tropical” dials, rsusted and patined by time. This time-keeper remains a real tool with a rare complication, reliable movement and perfect finish.